Happy Monday Everyone! 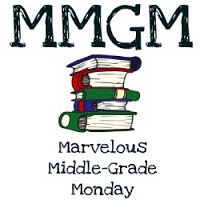 Today I'm SO excited to have C. Lee McKenzie here to share about her new MG SIGN OF THE GREEN DRAGON that recently was released. I'm really looking forward to it because of my own connection to China. And I'm excited for Lee, who is a follower and blogger friend. If you don't follow her blog, I really recommend you do. Thanks so much for letting me visit your wonderful blog today. 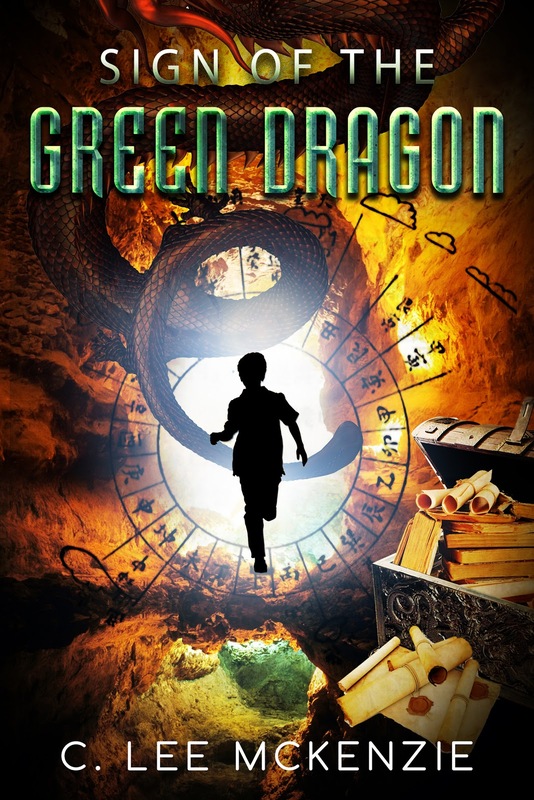 I do appreciate the chance to talk about China and my newest middle grade book, Sign of the Green Dragon. I write about Chinese mythology because it fascinates me and because I fell in love with China and her ancient stories a long time ago. When I was about six, a woman named Enid Mihilov took me under her literary wing. She had an amazing library with many books from all over the world, but the Chinese ones were distinct. I didn’t realize it at the time, but those books, which she allowed me to hold, were very old, one-of-a-kind, and in retrospect, must have been printed on handmade paper in a long-ago century. Enid read them to me in Chinese while I looked at the pictures. Misty mountains. Dragons streaming through the sky on important business for an emperor. Exotic silk gowns and palaces of gold. It was this person, who opened a lot of things about the world to me. In the center of her library was a globe in a wooden cradle that was bigger than I was. I still remember her turning that globe, tracing the Yangtze River across China and telling me about the beauty of the Three Gorges. When I was older, I understood how much this Russian woman had traveled, that she spoke several languages and knew more first-hand about geography than my teachers. When I finally did land in the Far East, I was primed to absorb as much about that culture as possible. I climbed the Great Wall, explored palaces and finally went up the Yangtze through the Three Gorges before the dam was completed and closed off one of the most beautiful areas in the world. Enid and I kept in touch for years, even after my family moved. Unfortunately, when we returned to see her, she had died, so I never had a chance to tell her how important our time together had been to me. Someday I’m going to write what I remember of my afternoons with Enid Mihilov. And having written that, I think I have a title already. Three plucky sleuths. A crumbling skeleton. A quest. you need to do is be a follower (just click the follow button if you’re not a follower) and leave a comment through September 3rd. If your e-mail is not on your Google Profile, you must leave it in the comments to enter either contest. On Monday I have a guest post by debut author Hannah West and a giveaway of her YA fantasy KINGDOM OF ASHES AND BRIARS. I'll be back on Wednesday, September 7th with an interview with debut author J. Keller Ford and a giveaway of her YA fantasy IN THE SHADOW OF THE DRAGON KING. Even though you never got to tell her, I'm sure she knew how you felt. My great grandfather was an ambassador to the emperor in the late 1800's and he bought back a couple Chinese books that were photo collections of a famous photographer of the time. They were still in good shape and together valued at over $2500. Thanks for the reassurance, Diane. And those books are treasures! I'd love to see them. Enid sounds like she was a fascinating person. The fact that she let a six year old hold very old books says a lot about her and you. I bet she could tell you loved books and writing even at that age. She had such a history. I think it went back into Russia and the Czarist period. If I'd been old, I would have known to ask more questions. Lee, Your Enid sounds very like my Charlotte, an older non-family woman who shared part of her life with you, a precious gift. I never got to thank Charlotte, either. But I believe in my heart that she knew how much I cared for her. I have already read Sign of the Green Dragon, so you don't have to put my name in the hat. Aren't we lucky to have had these literary women in our lives! Thanks for reading and reviewing Dragon, Bish. You're the best. I think it's great when adults like Enid share their interests with kids around them. Even when you get along great with your parents, once in awhile kids just need the positive influence of someone outside the family. Moms and Dads are great, but you're right. Those outside influences are very special. Enid sounds like a spectacular lady! How lucky you are to have shared her passion!! Lee's book is fantastic!!! I hope everyone goes out and snags their own copy! I was fortunate, indeed. I mean to write more about Enid one day. Thanks so much for your support with this launch. Great story line both for the book and her connection with Enid. I do want to read THE SIGN OF THE GREEN DRAGON but let someone else win. My stack of books to read is already reaching into 2017. Best of luck C. Lee! How wonderful that Lee was privileged enough to know such a fascinating woman. 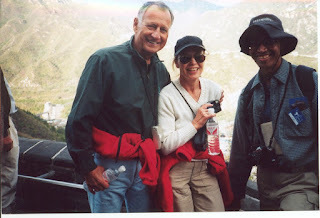 And that she got a chance to visit China and the Three Gorges. The book sounds like an exciting adventure. The China trip was so special. I'm glad I was able to see the Three Gorges before the dam flooded the area. 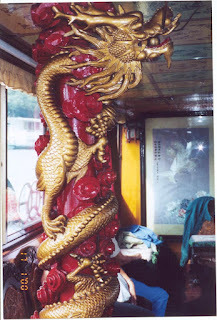 Your adventure in the far East and your journey as an author was enriched by your friend. Absolutely. We need to remember how as adults we can enrich children's lives. Enid taught me that. Hi, Natalie and Casey! I'm so excited to be here today. Thank you for giving me a chance to talk about my book and some of my fascination with China. Ooh, this sounds like a fun mystery to read. Please throw my name in the hat. It's wonderful how a figure from childhood can open up so many worlds that you explore later. I used to have a piano teacher from Russia when I was very very young, and her husband had a ship in a bottle. I know some day I will have to write about that ship in the bottle. Meanwhile, it's wonderful that Lee had the opportunity to go to China and see some of the wonders her early friend had made her aware of. Those early mentors are so important. A ship in a bottle? That absolutely must have a story. What a wonderful story about where your love for China started. If only every child were lucky to know someone so kind and learned. I was. Her affect on my life has been significant. Hi, Lee, Chinese culture also fascinates me and I've read more than a few stories set in that part of the world. Hope your giveaway is going well. Hi Joy! So glad we share this passion. Congrats on your book! I was fortunate to be able to visit friends in China for 2 weeks last year. It's so amazing to see all the places you've only read about, isn't it? 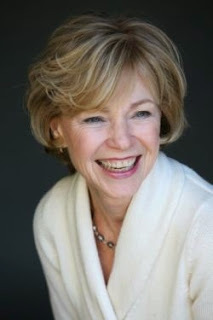 I loved this story of how Enid inspired you to learn about China. I felt the same way when I got to go to Russia, a childhood dream. This sounds like a fun middle grade. Congrats, Lee! So glad you fulfilled your dream, Jenni! As Diane wrote: I am sure she sensed how you felt about her and your time with her. May your sales be high!! Thanks, Roland. Excellent to see you have a Dragon book out as well! Dragons of the Barbary Coast is on my must read list. In fact, it's on my Kindle. Have my copy which I pre-ordered on Amazon. So wonderful you met someone who broadened your horizons so much. RIP. Congrats on your latest book Lee. Thanks so much, Sheena-kay. I appreciate your comment and your purchase of Dragon. I hope you enjoy the adventure. How interesting to learn more about your passions, Lee... Sounds like a wonderful read. Natalie.... Thanks for featuring Lee today. This sounds very intriguing I can't wait to read it. So much to love with this story, beginning with the amazing cover. Dear Lee, I hope you do write about Enid Milholiv, I would love to read it. 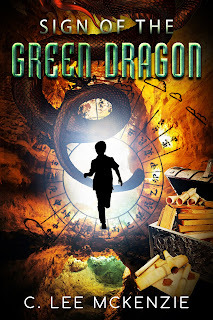 Congratulations on Sign of the green dragon, it sounds exciting, and I love the cover. Congrats Lee, I would love to visit China one day. Your book sounds very interesting. Wow! This book has everything that I love. I have it on my must read list. I shared on twitter. Lee rocks. Congrats on the new book! Love the cover. I won't put my name in the hat, because I don't have an ereader, but I loved this post. Enid sounds like an amazing woman and I am so glad that Lee was able to spend so much time with her as a child. Love the photo of Lee at the Great Wall. Thanks for the great post! I love the cover. I follow on email.